This is a beautiful 6-Bone Hoop cotton petticoat/crinoline slip. This 6 hoop cotton slip is the perfect slip to add fullness under your Wedding Gown, Ballroom Gown, Special Occasions Gown, Civil War, Victorian, Southern Belle, Renaissance SCA and Costume. 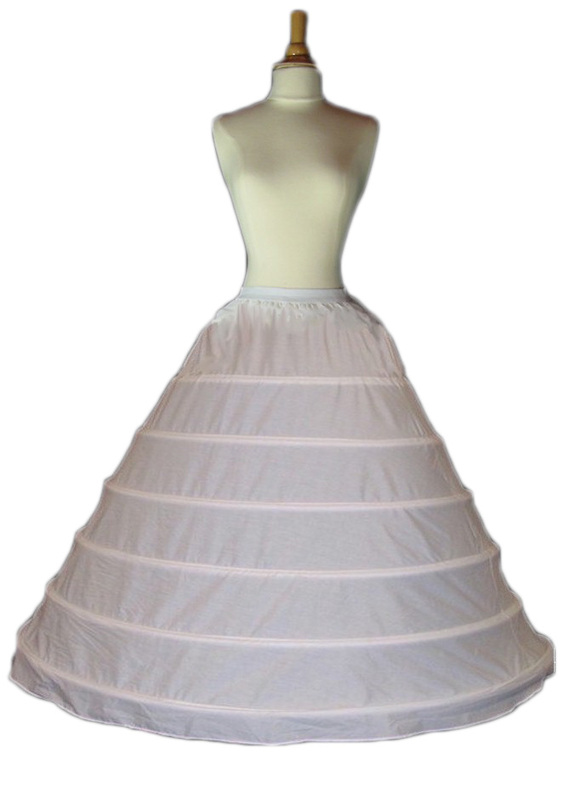 This crinoline slip features a wide elastic waistband for a snug fit. The hoops are made of a strong flexible light weight metal frame that can be adjusted to decrease or increase the fullness of the slip. The lightweight framework is encased in a layer of fabric. The hoop skirt does not have layers of fabric to provide the shaping, like regular bridal slips and crinolines, which makes it an ideal choice for a warm climate wedding, or to wear underneath a very heavy ball gown style wedding dress. The metals may be remove from the slip for machine washing purposes. The hoops are very flexible and allows you to loop the hoops around themselves making it small and compact to fit into a carrying bag. 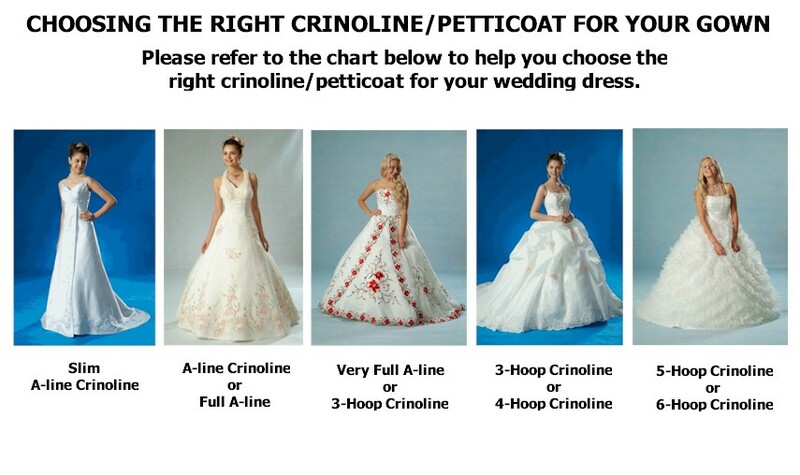 Size: Elastic Waist Fits 26" to 50"
Circumference: Bottom Hoop Circumference - 168"
Please click the thumbnail on the left column to see Crinoline/Petticoat Guidance Chart to help you choose the right petticoat for your wedding gown. Thank you so much, PiggyTiggy! You save me a lot of $$ and with the email advise....fast shipping, wonderful slip...I couldn't say much...you guys are just the best seller! Super fast shipping, excellent quality and value, A+ seller, Thanks!!! !